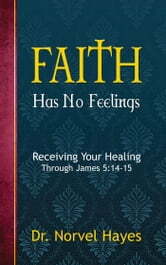 One way to obtain God's mighty healing power is believing in James 5:14-15. Norvel Hayes explains how you must confess and believe that you are healed regardless of whether you feel anything or not. Norvel recounts what happened when he traveled to Alabama by himself for a two-day meeting. He explains the special instructions the Lord gave him on the way and what happened during the first service when he followed the Lord's instructions. There was a heavy emphasis on the Biblical verses of James 5.14 & 15. This has a good reinforcing effect on retaining this in the memory, but I question if the content of these two verses should have been used more because it is the content that guides the person for what he/she needs to do.We are not always where we can access the Bible when we need healing: we need to know these words in our lives: the content of James 5.14 & 15. 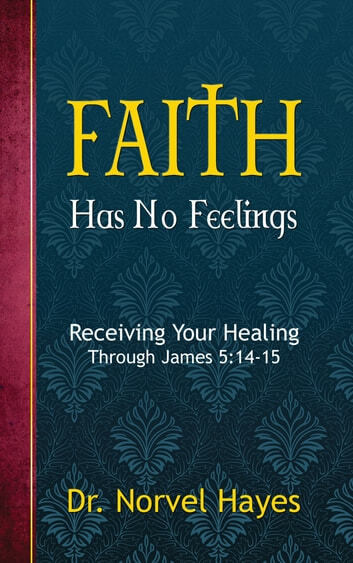 But, as Norvel Hayes does stress in his book, it is Jesus who actually heals, this Scripture only tells us how to access that promised healing.